Armillo finally reaches the Nintendo Wii U after being first announced back a couple years ago. In this eshop game, you assume the role of an armadillo from space! Looking at the background story, your character’s home planet happens to be attacked by the Darkbots which consequently led to his friends being kidnapped. It is then that your journey is to stop these evil efforts and rescue your buddies. 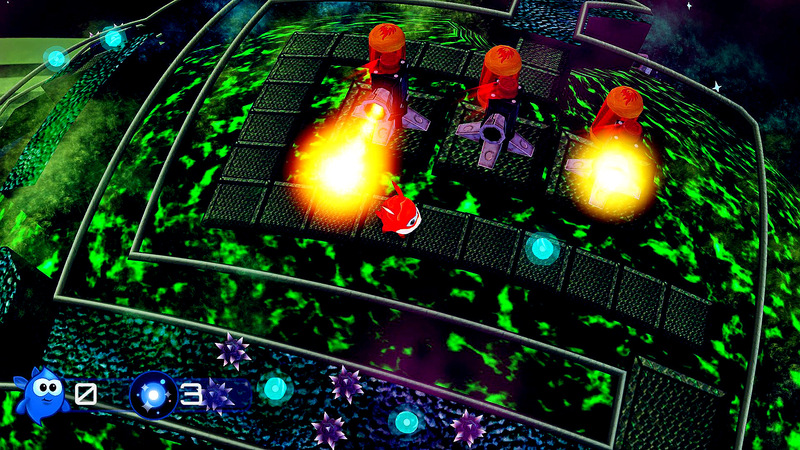 Armillo can be compared to a blend of Sonic the Hedgehog with Super Mario Galaxy. In a third-person 3D perspective, your character will be rolling and jumping around environments and obstacles. But at the same time, you’ll be travelling through small planets. You are bounded by the walls that guide your path throughout the level. In addition, there are ramps as well as areas that boosts your speed as you venture about. I must admit that Armillo appears to be very appealing amongst the eshop Indie titles released for the Nintendo Wii U. The environments and background are designed very beautifully with a great degree of details on the characters themselves. Meanwhile, the music help to liven things up. With the action taking place on screen, the soundtrack successfully leaves a lasting impression as it brings excitement and awe to the ears. Basically, your objective is to rescue all your friends, who will end up unraveling a path for you to travel to, thereby getting you close to your destination. Despite Armillo’s resemblance to Sonic The Hedgehog, I should mention that the pacing is not the same. So while those of you who are expecting a fast-paced platformer can be potentially disappointed, the diverse number of challenges and puzzles that await you can win you back. This is especially evident considering that there are also alternate dimensions which you can only survive for a certain period of time as well as machines that can change the weather. These types of things really keep players on their toes as it puts their skills to the test. In Armillo, you also have access to an in-game shop, thus giving you the opportunity to purchase upgrades to your stats. These could also include getting more time added while in alternate dimensions. On top of that, you can also acquire abilities which ultimately gains you access to new areas. As such, you may be enticed to revisit the levels you already completed with these newly-acquired skills. When you complete a level, you’ll be evaluated based on your performance and rewarded accordingly with a medal (gold being the best). While the game overall gets gradually challenging and engaging, the boss battles themselves can be a joykill since they tend to be on the short side. The patterns that the boss attacks occur in are pretty easy to figure out and thus could rob you of the challenge. 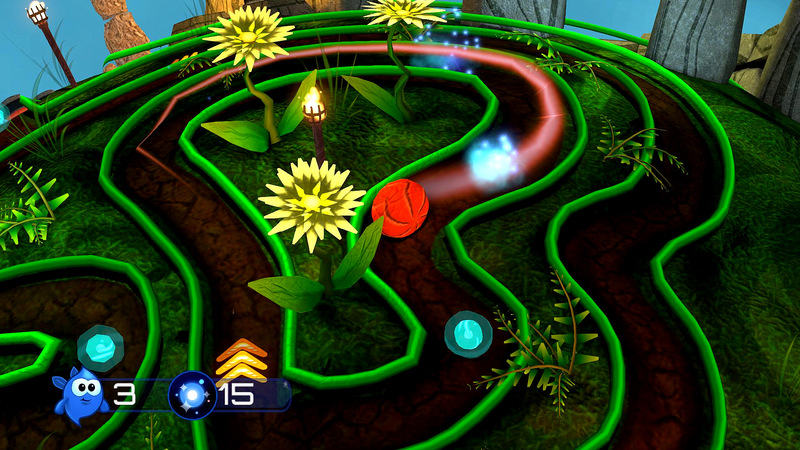 Nonetheless, considering that Armillo is made up of five worlds with four stages contained in each, it will take a long while for players to reach the game’s ending. And if you take into account the fact that there are tons of collectibles and secrets to discover in each level, it’ll take a considerably longer time to unravel the complete experience. Further to that point, there is a bonus area for every stage (other than those occupied by a boss). And if you manage to unlock and complete the first three within each world, you gain access to the fourth bonus stage. In these instances, the perspective will change into a 2D point of view where you’ll have the ability to perform a double jump. But here, you have a limited time to complete the stage. 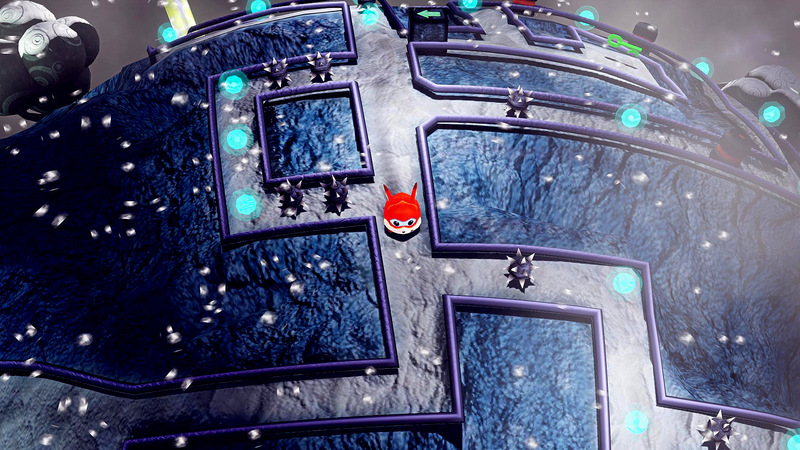 Overall, Armillo provides a bundle of joy and excitement with its platforming action and challenges. Although some can consider it to be a blend of past games, the notion that Armillo took the best attributes of those make it quite the gem amongst the eshop titles out there. If you’re looking for a nice platformer, then you’ll be rolling around with glee with this one.